It’s like crowd-funding but with really cool perks! An innovative, new donor scheme launched in 2016 offering supporters, fans, philanthropists and anyone else the chance to be at the forefront of the production of contemporary new musical theatre. This exclusive club for musical theatre fans and supporters will accept up to a maximum of just 250 members at any one time. Each member will donate a minimum of £500 and receive a 2 year membership in the club. MEMBERS DONATIONS WILL LEAD TO MORE NEW BRITISH MUSICALS BEING PRODUCED! Perfect Pitch is currently one of Arts Council England’s National Portfolio Organisations which awards us around £100,000 a year in support of our development work in new British Musicals. This funding provides around 60% of funds required to find and create new projects by emerging British writers from the initial stage of embyronic ideas through workshops and readings up to showcases and final drafts. The 250 club donations create funds for us to be able to take some of our musicals to the next stage – full production. 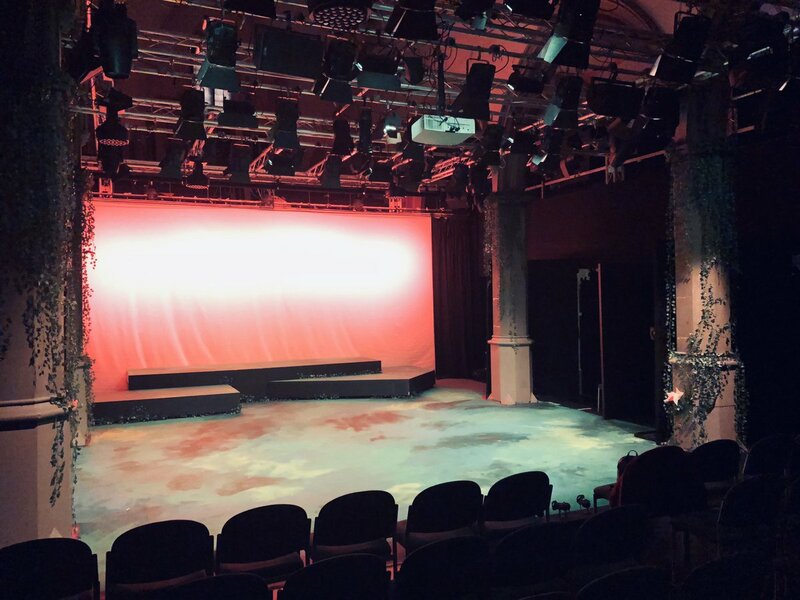 We are often still looking for co-producers and venues to collaborate with us on the productions but by having our own funding the projects are more financially viable to the partners. This will create so many more opportunities for our writers to see their work reach it’s full potential and find its audience. As soon as you join you will receive a complimentary package of gifts from Perfect Pitch including our new musical CDs, books and a Digital Theatre download. During your membership you will be entered into a minimum of 4 prize draws and also offered tickets and invites to a variety of events that may come up along the way such as theatre shows, ‘stagey’ parties and industry workshops and readings that may be closed to the general public. Below are a few examples of what our current members have been offered in the 18 months since the club was launched. 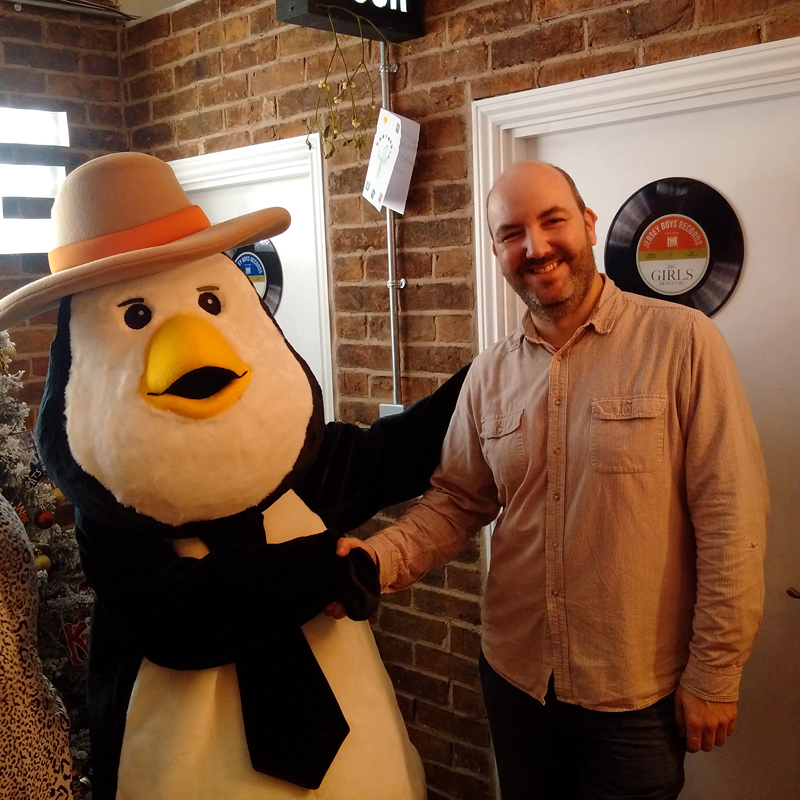 PP250 prize draw winner Peter Dudas with Barry the Penguin after winning a 1% royalty in the musical and book. 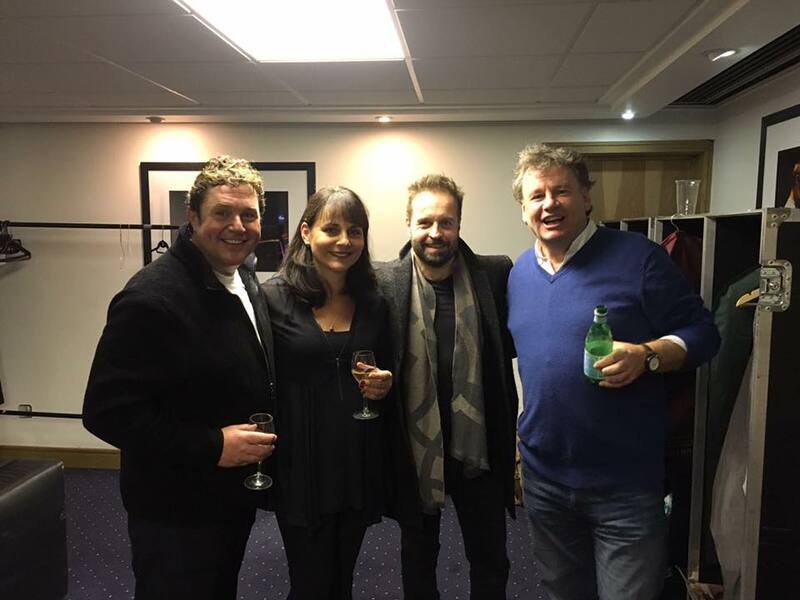 Tickets for 2 to see MICHAEL BALL & ALFIE BOE in concert, including a meet & greet. Invite to our VIP 10th anniversary party at The Groucho Club, West End. An exclusive party for our members plus many of the writers, creatives and West End performers we have worked with over the last 10 years. Our guests were treated to live music, complimentary food and drink and of course wonderful company! Invite to a workshop reading of Pieces of String at The Other Palace (not open to the public) followed by complimentary drinks with the cast and creatives in the bar. Invite to an informal workshop reading of Lia’s Guide to Winning the Lottery. Complimentary tickets to our Perfect Pitch Award / VIP event joined by Michael Ball, David Baddiel, our finalist writing teams and a host of West End performers. The first 250 people to make a donation of £500 or more will be offered the opportunity to become a member of the club for a period of two years from the date of the donation. When we have our full 250 membership we will post this information below. If the PP250 club is not for you but you would still like to support Perfect Pitch without the benefits of the membership, please scroll to the bottom of the page to make a donation of any size. Even the smallest amount is most gratefully received! Please donate using either the paypal link above or our bank details below. (Please note Paypal charge us just under £20 for every £500 donated, direct bank transfer doesn’t incur any additional charges to us). Once you have made your donation please complete the membership form below. Please make cheques payable to Perfect Pitch Musicals Ltd and post to Andy Barnes, Perfect Pitch, 5a Irving street. London. WC2H 7AT. How did you make your donation? How did you hear about the PP 250 Club? If £500 is more than you are able to give but you would still like to make a donation towards the work we do at Perfect Pitch please use the paypal link below to donate any amount of your choice. Anyone who donates to Perfect Pitch will be added to our ‘friends of Perfect Pitch’ mailing list to receive news and special offers as and when they may arise.